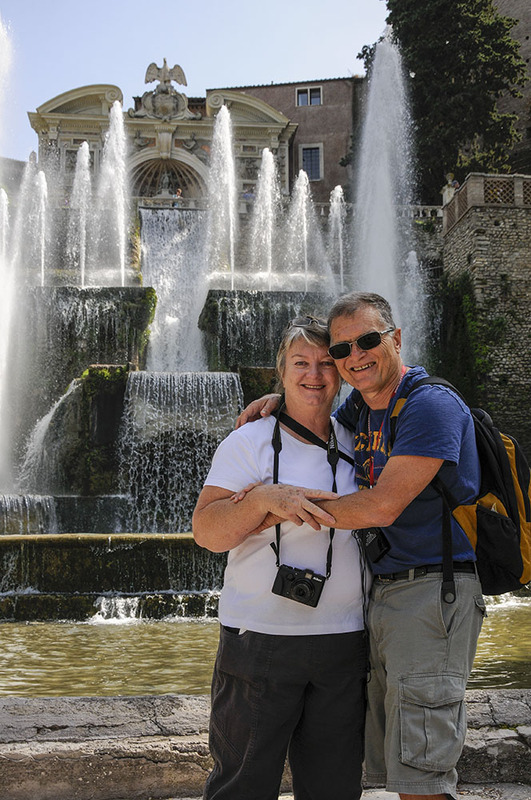 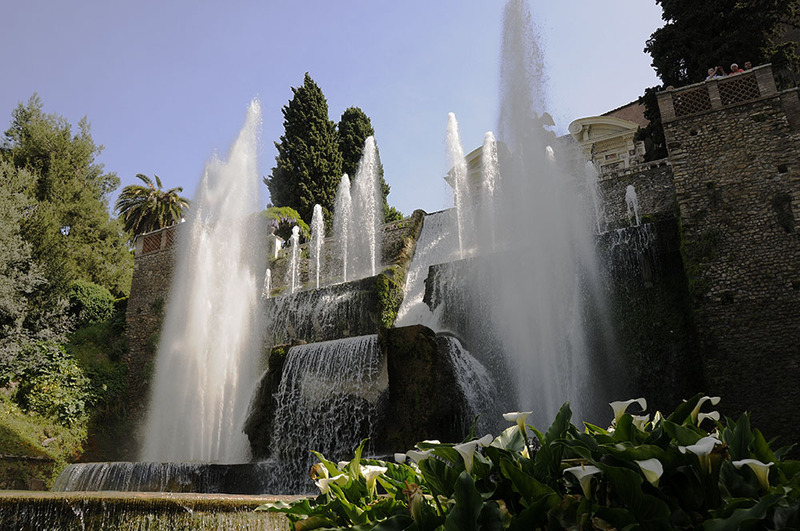 Thirty Km North East of Rome, cool in summer while the city sizzles, situated at the falls of the Aniene river where it issues from the Sabine hills, is Tivoli. 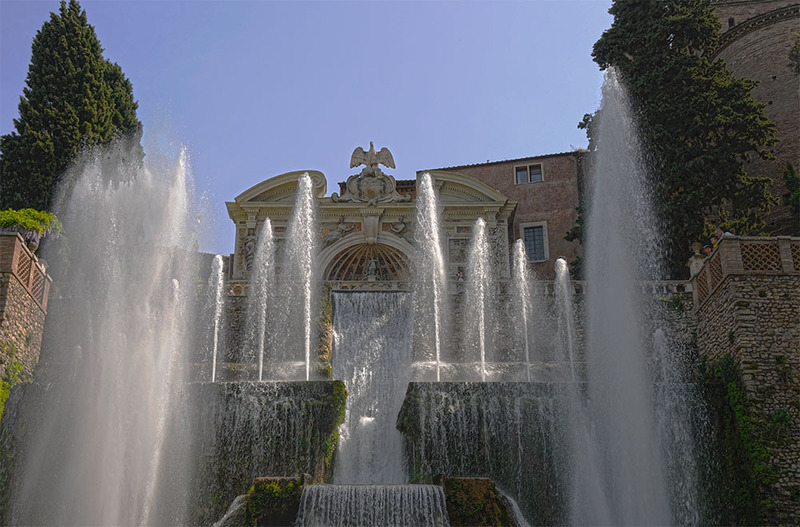 It is a half day excursion from Rome and absolutely worth the effort, especially with the assistance of a knowledgable local guide. 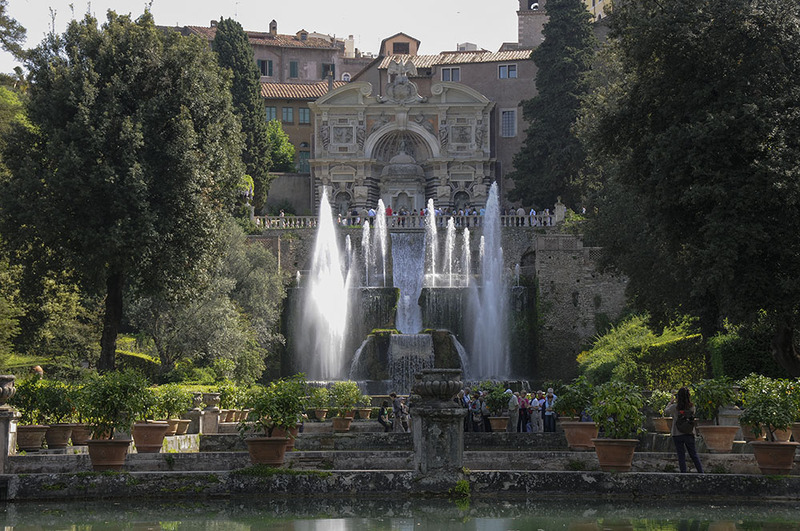 Here is a gallery of photographs from the gardens. 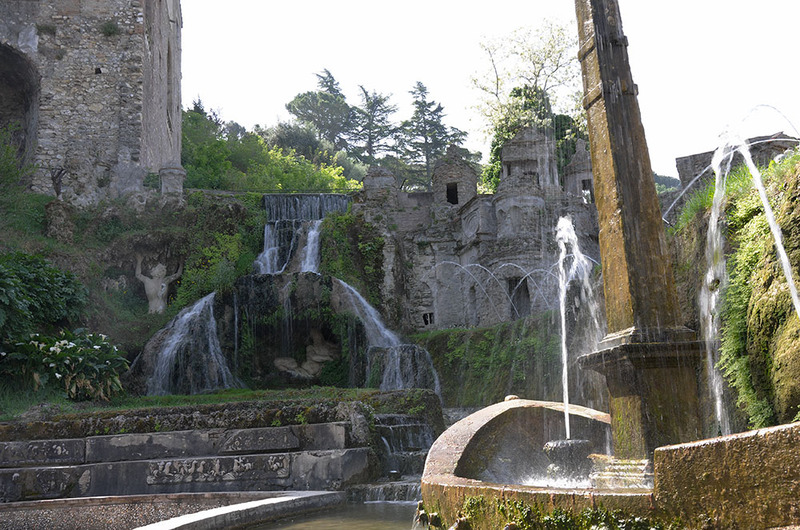 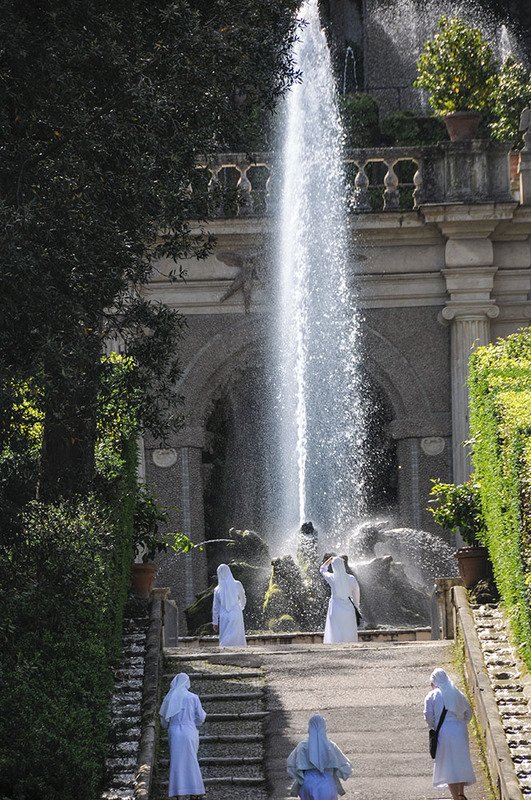 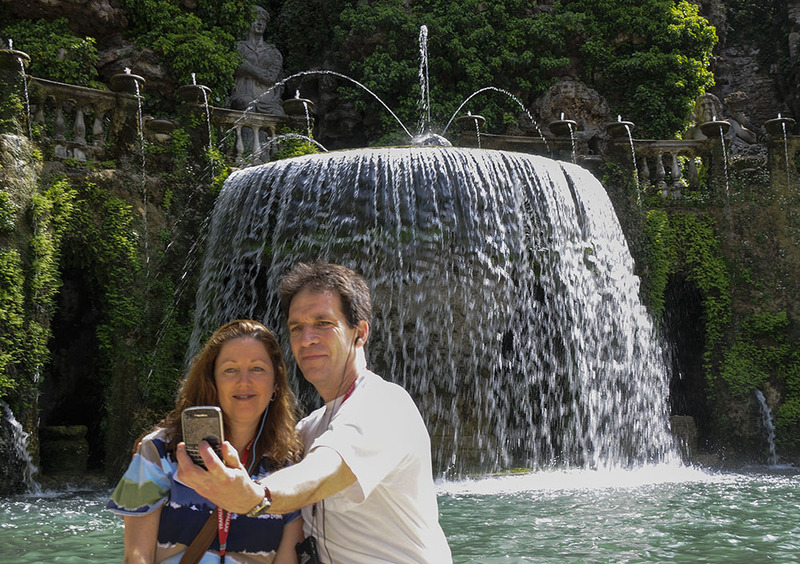 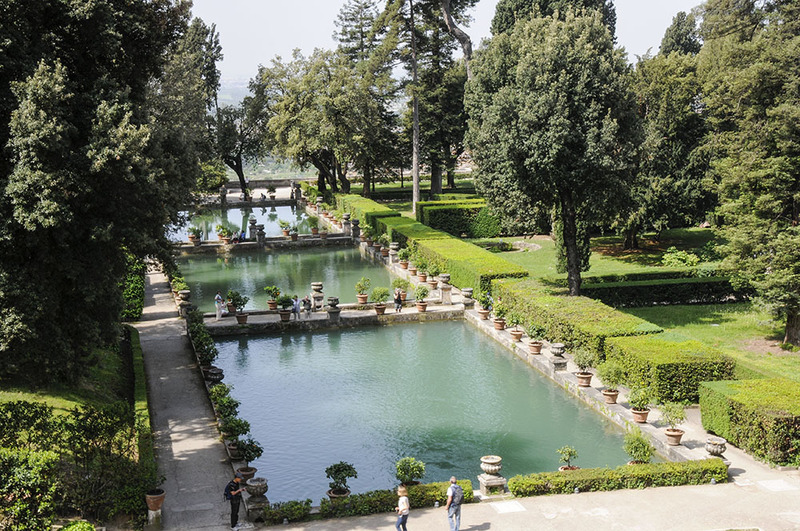 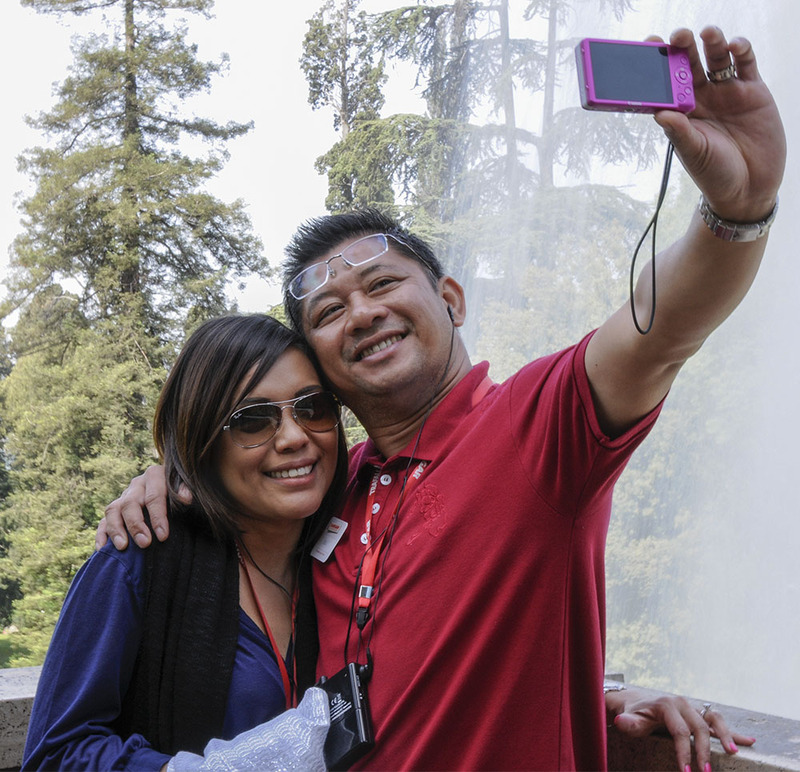 The gardens are part of Villa d’Este, commissioned by Cardinal Ippolio II d’Este son of Alsonso i d’Este and Lucrezia Borgia and grandson of Pope Alexander VI. 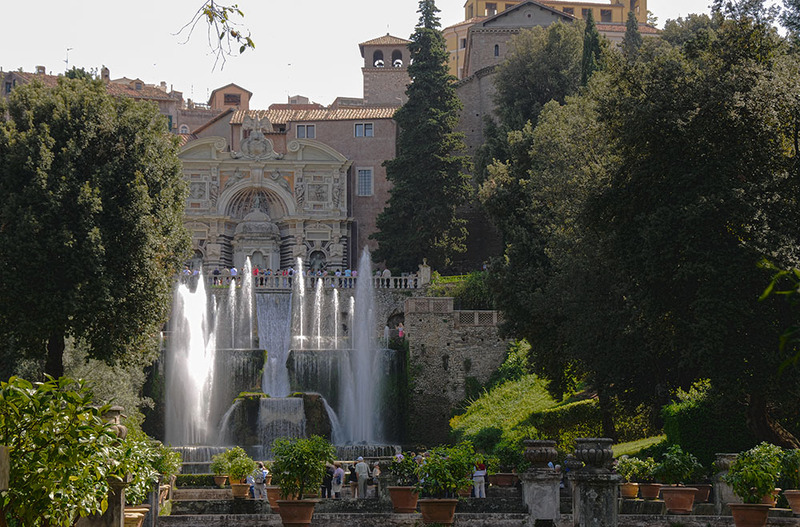 He had been appointed Governor of Tivoli by Pope Julius III, with the gift of the existing palace. 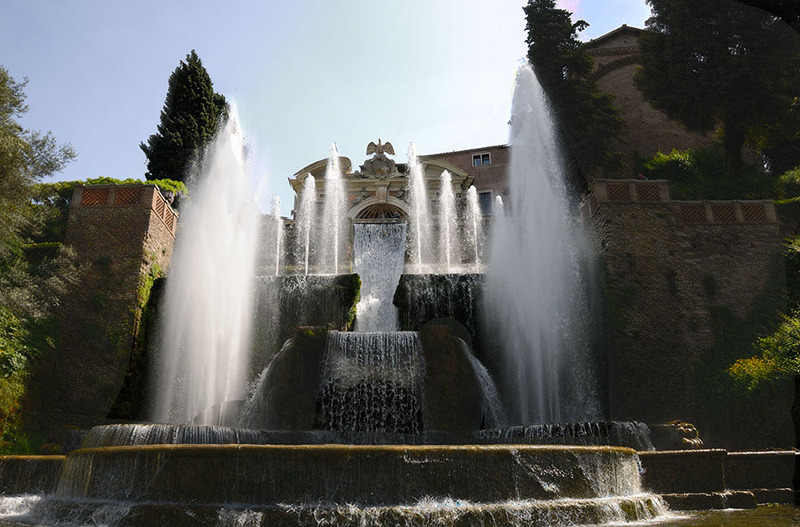 From 1550 until his death in 1572, when the villa was nearing completion, Cardinal d’Este created a palatial setting surrounded by a spectacular terraced garden, which took advantage of the dramatic slope but required innovations in bringing a sufficient water supply, which was employed in cascades, water tanks, troughs and pools, water jets and fountains. 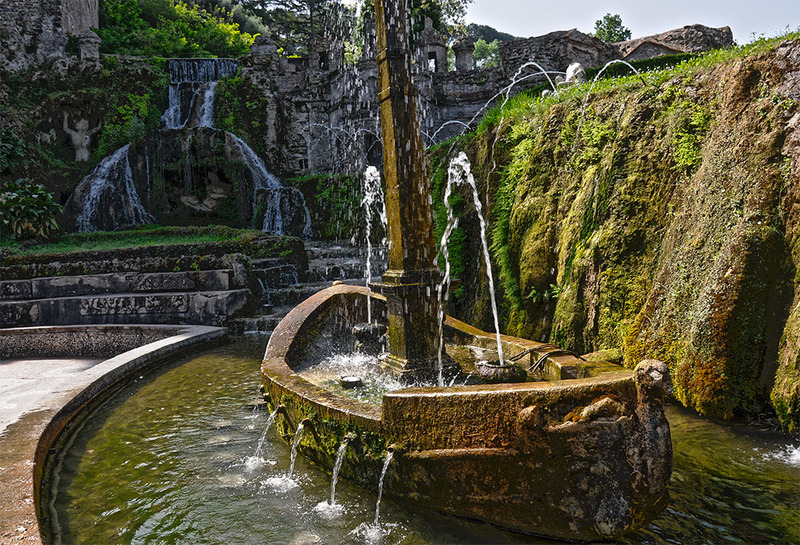 This garden and their water features were imitated in the next two centuries from Portugal to Poland. 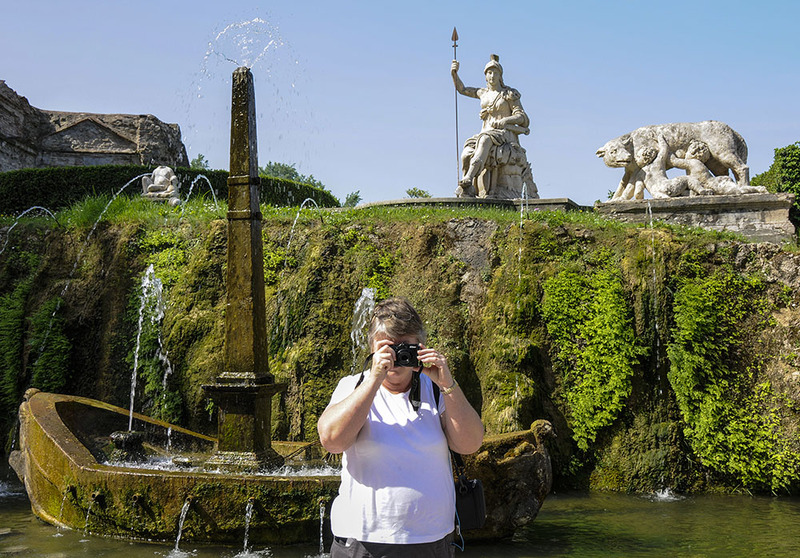 Drawing inspiration (and many statues and much of the marble used for construction) from the nearby Villa Adriana, the palatial retreat of Emperor Hadrian, and reviving Roman techniques to supply water to a sequence of fountains, the cardinal created this fantasy garden. 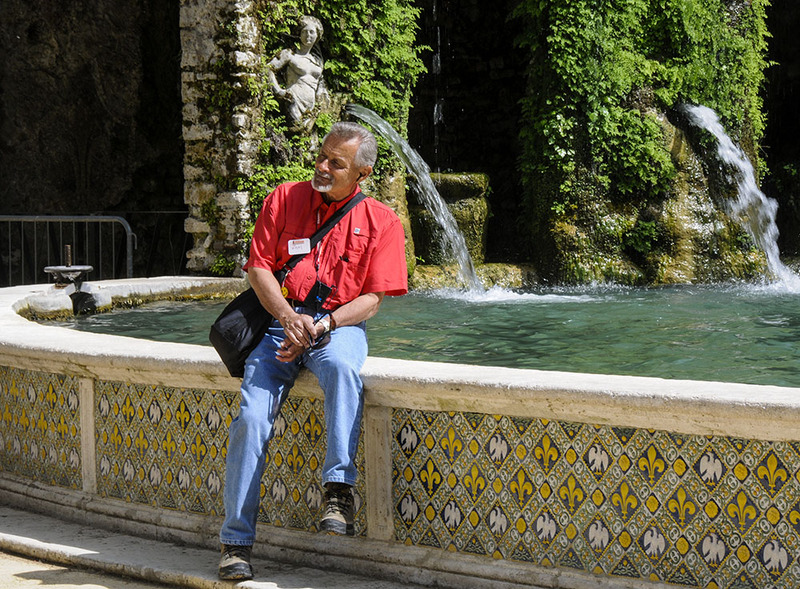 Of course the Gardens need people to appreciate them. 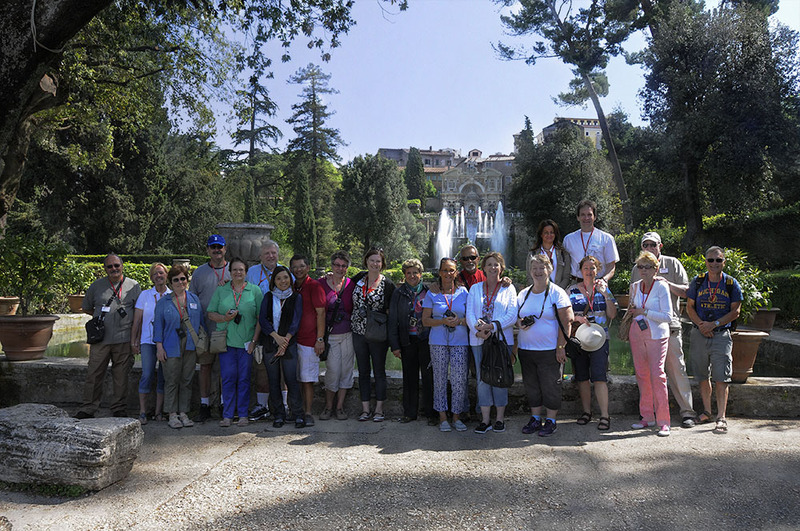 First is a group shot of Group Barbara on out Trafalgar Italian Concerto Tour, then an excursion of nuns checking out the gardens built by a Prince of the Church 550 years ago, then a series of individuals enjoying these amazing surroundings. 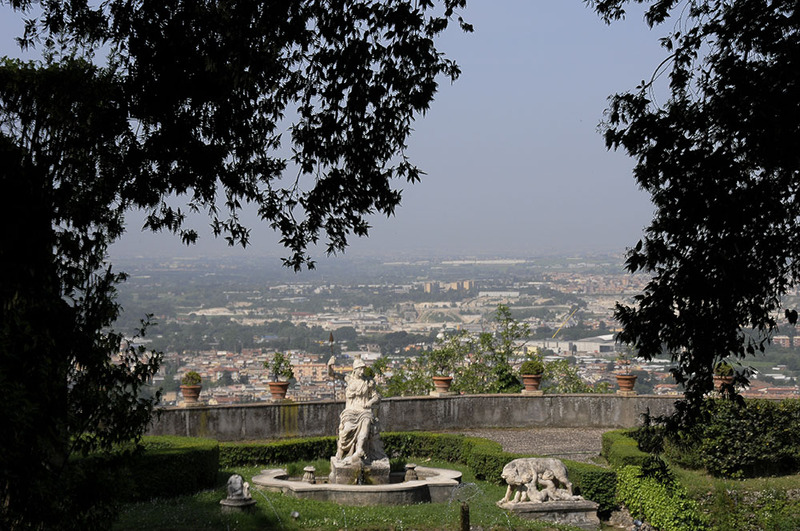 Lastly the view again back to Rome. 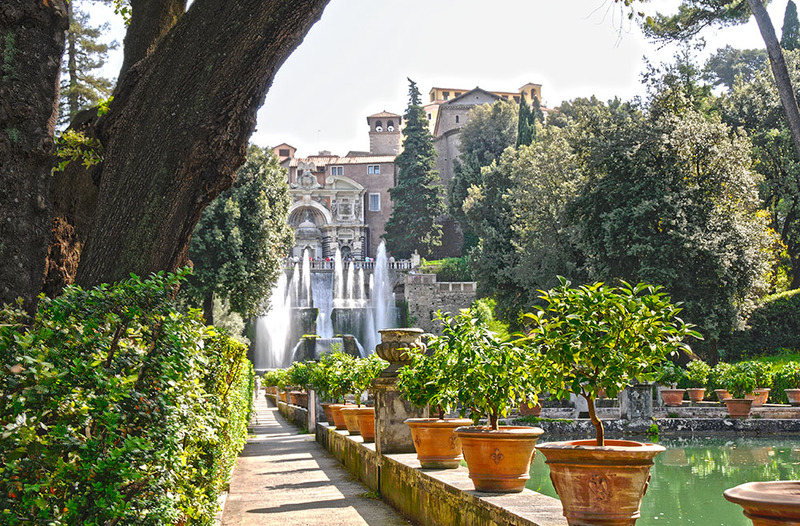 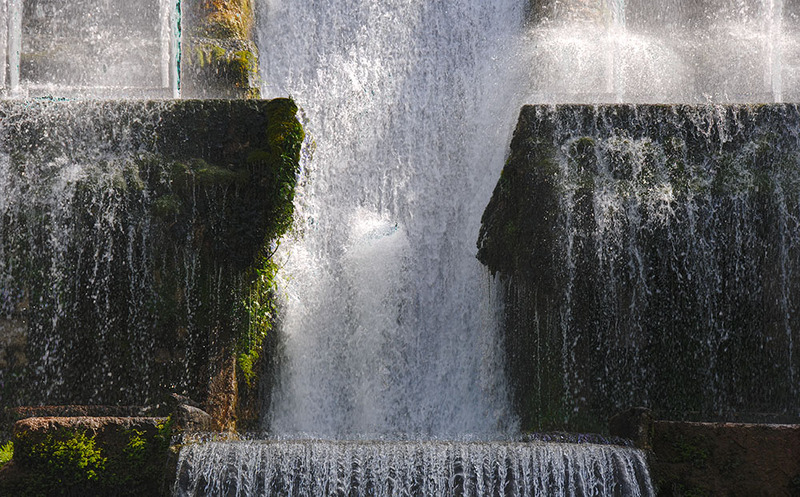 If you get the chance to visit Italy, don’t miss out on a trip to Tivoli, beauty, peace, nature roman art – without the heat and crowds.